CHICAGO IL--(Marketwired - March 19, 2014) - A new program that translates work and life experiences into college credit may help law enforcement professionals who want to complete their degree, Pamela Tate, CEO and president of the Council for Adult and Experiential Learning (CAEL) announced today. The program, LearningCounts, assists working adults to transfer professional experience and skills learned outside the classroom into college course credit. In discussing the program Tate said, "Adults know their knowledge comes from more than just a course, a classroom or a lecture, and we know it too. CAEL has developed a system that evaluates learning experiences including employment, military service, volunteer activities or participation in massive online open courses (MOOCs) which is then documented and assessed in a learning portfolio." According to Tate, learning portfolios are an effective tool for evaluating college level learning acquired outside of traditional academia and help students earn credits for a college degree in a way that saves time and money with academic rigor. Also, aggregating all of their rich experience, college-level learning and college courses together to earn credentials and degrees helps them to be more marketable in the workforce. Added Tate, "It can be very difficult for today's working adults to pursue a college degree because of the long hours they are typically working. But many workers in law enforcement have actually acquired college level learning just doing their day-to-day job. A LearningCounts portfolio can help them not only get the credit they need, but allow them to work on their own time in a way that is most convenient for them." That's exactly what Lynn Waterworth of Jonesboro, Arkansas experienced. For 25 years she had dedicated herself to her career as a law enforcement officer. Possessing an associate's degree in criminal justice she had long wanted to pursue her bachelor's, but thought her full-time working status prevented that from happening. "When you work full time, obviously going to class, especially during regular business hours, is an obstacle," she says. It turned out Lynn had already picked up a good amount of college-level learning from her on-the-job experiences, which would serve well in the advancement of her professional law enforcement career. And an online search for higher education options led her to discover how LearningCounts college credit recommendations could help her to get further toward her degree goal for considerably less than college tuition. Enrolling at Arkansas State University, Lynn initially learned how to create a learning portfolio that documented her outside-the-classroom skills, and she submitted these to her instructor for review soon thereafter. The result was Lynn applying for -- and receiving -- 12 credit hours in criminology. And now she's on track to graduate with a bachelor's in interdisciplinary studies, a goal she didn't think possible before. "I have put off completing my degree for far too long," she says. "And this option afforded me the opportunity to complete the process on my own time and more quickly than I what I originally thought possible." All LearningCounts students receive their portfolio assessment results within two weeks -- and with select colleges direct transcription. The LearningCounts credit recommendations are accepted by colleges and universities that respect the history and learning of adult students and find them the most reasonable path to earning a college degree. Concluded Tate, "For four decades CAEL has focused exclusively on the needs of adult learners. LearningCounts.org is a wonderful system that addresses their needs, and we urge everyone to take advantage of this program that can easily put you on the path toward finishing your degree." The Council for Adult and Experiential Learning (CAEL) is a nonprofit 501(c)(3) organization based in Chicago, Illinois that assists adults with their educational endeavors, finding practical ways to help them earn college credit for learning acquired through life and work experiences toward the completion of a postsecondary credential. CAEL works with the public sector, private sector industries, and higher education institutions to ensure that adult students receive the most efficient training and education to be employable in the 21st century economy. Since 1974, CAEL has assisted colleges and universities to develop programs that evaluate adults' non-collegiate learning for college credit. 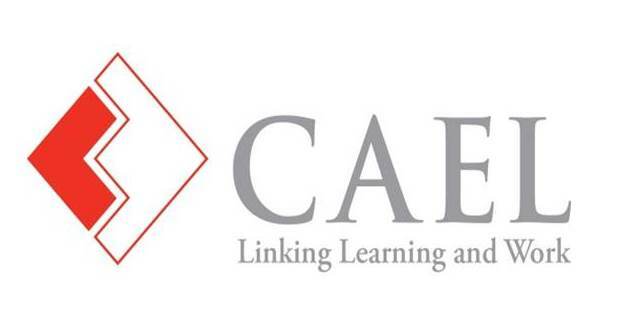 CAEL is the recognized national expert on a method known as portfolio assessment, and its Ten Standards for Assessing Learning are used by colleges and universities, as well as accrediting organizations, across the country. More information is available at www.cael.org. Follow CAEL on Twitter at www.twitter.com/CAELnews or like us on Facebook at www.facebook.com/CAELnews. LearningCounts.org is managed by the Council for Adult and Experiential Learning (CAEL), and operates with support from Lumina Foundation, the Kresge Foundation, the Joyce Foundation, the State Street Foundation, the Houston Endowment, USA Funds, and Brown Foundation. The Walmart Foundation is also providing support and funding scholarships for eligible users of LearningCounts.org.